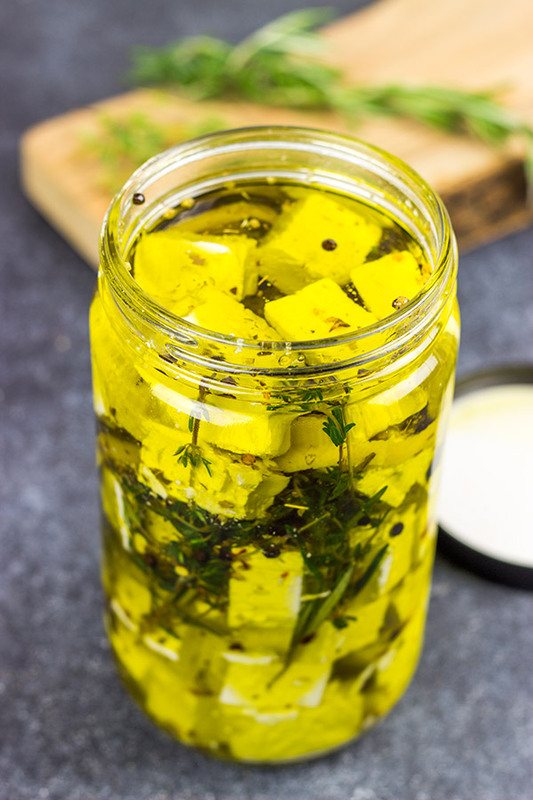 This Marinated Feta makes for a great holiday appetizer or light dinner! Pop open a bottle of wine and share this one with friends! Happy almost Thanksgiving, friends! If you’re here in the States, then I hope you’re ready for Turkey Day. This coming weekend is always one of my favorites of the entire year. First of all, there’s the food. I like food. I like to cook food. I like to eat food. I like to talk about food. So of course Thanksgiving is up there for me! We always make a full Thanksgiving feast here in our house even though there’s only 2.5 of us here. (I’m counting Robbie as a half since I’m pretty sure he won’t touch the turkey…but I can always hope.) That means we have awesome leftovers for a solid week after Thanksgiving. Football, Christmas decorating and delicious leftovers. And maybe a nap on the couch somewhere in there, too. That’s one perfect weekend! Speaking of Christmas decorating, our tradition around here is to go out and get our tree the morning after Thanksgiving. Some years that means I have to knock snow off of the trees so I don’t pick one with a huge gap in the branches. (I totally messed that up last year…but we hid the gap against the wall, so it kinda worked out.) I grew up decorating real Christmas trees, and it’s a tradition that I’ve stuck with as I’ve gotten older. I know it’s more work, but there’s just something fun about the smell of a real tree! We do have a fake tree that we put up in our basement next to our entertainment area. It’s a great place to hang our collection of silly childhood ornaments that we just can’t get rid of! Speaking of fake Christmas trees, have you guys heard of the upside-down Christmas tree? I know everyone has their favorite traditions for the holidays, but an upside-down Christmas tree? Say what? Yup, a Christmas tree that hangs from the ceiling. Apparently, this tradition has roots that date all the way back to the 7th century. This tradition is new to me, but I actually have to say that it’s kinda cool. I mean it keeps all of the ornaments out of reach of the dogs and little toddler’s hands…and it makes more room for presents! Will I be hanging an upside-down Christmas tree this year? Not a chance. I’m too traditional. But the idea is still fun! Another one of our favorite holiday traditions is appetizers for dinner. Invite a couple friends over, open up a bottle of wine and set out some appetizers. Spending time with good friends while sharing good food is what the holidays are all about! This Marinated Feta is one of our favorite appetizers to make, too. It’s super (like silly) easy to make, and it’s an appetizer gift that keeps on giving. Just replace the feta (or the oil) as it’s used and this Marinated Feta will keep for several months in the fridge. This Marinated Feta does need to marinate (thus the name) for at least 48 hours, so you do have to plan ahead just a wee bit. But after that, the work is all done. 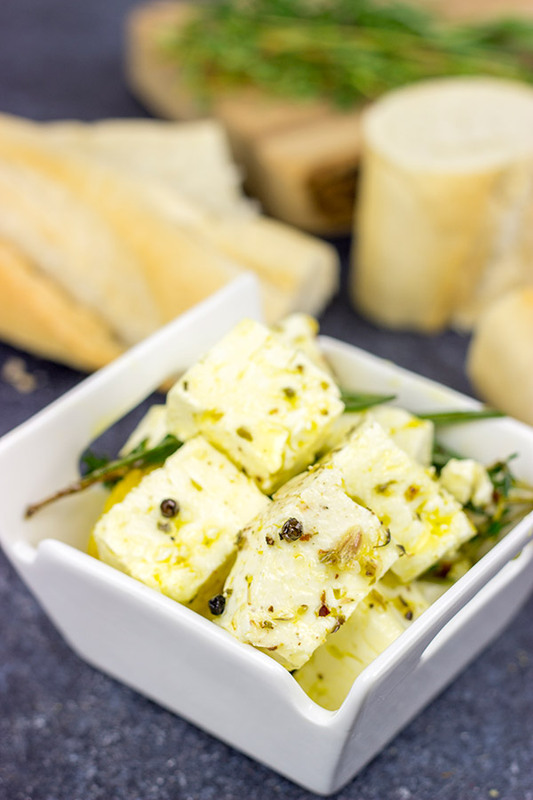 We like to set out a bowl of Marinated Feta along with crackers and pieces of crusty baguette. It makes for a delicious snack or light meal. In fact, this would be a fun one to set out while decorating your tree this year…upside-down or otherwise. Cheers, friends, and have a great Thanksgiving! I’ll be back on Black Friday with a delicious cheesecake to get your Christmas season started off right! 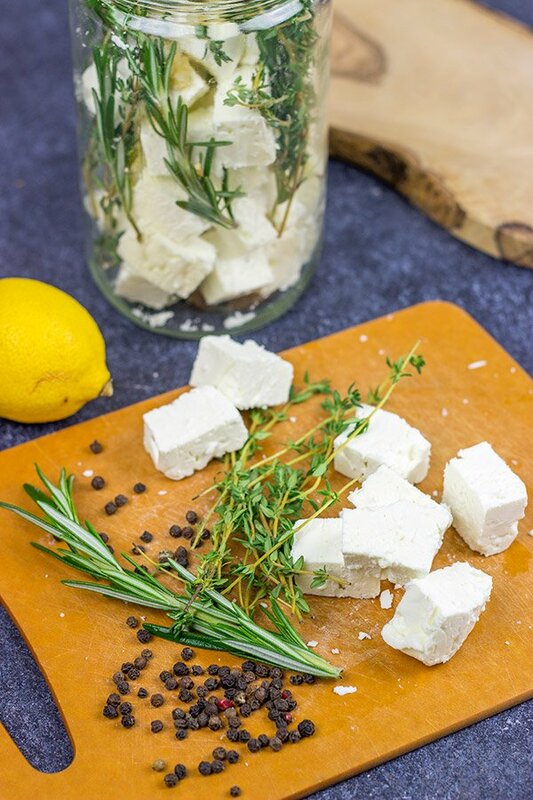 Place the cubed feta in a large, clean glass jar. Tuck remaining ingredients except for oil (thyme, lemon rind, garlic cloves, bay leaf, lemon juice, peppercorns, rosemary, oregano and red pepper flakes) around the feta. Add enough olive oil to cover. Seal and refrigerate for at least 48 hours. As long as it remains covered with oil, marinated feta can last for months. I often just keep a jar in the fridge and add more feta or oil as needed. 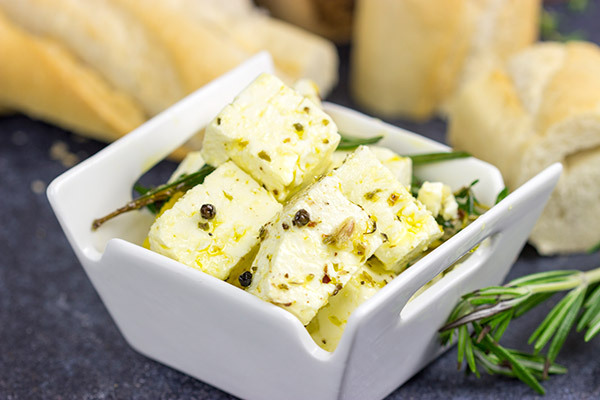 Serving ideas: Serve the marinated feta cubes as an appetizer with slices of crusty bread. Use the feta on salads, pasta, roasted vegetables or even pizza. The olive oil itself can also be used for any of these dishes…just replace the oil as you use it! Yep, you’re talking to me in the opening line there David “Pop open a bottle of wine”. Ha ha! If you need another 0.5 person to eat the turkey Robbie doesn’t eat, I would happily volunteer! 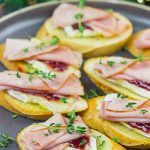 Love this easy appetizer. I might be tempted to open more than one bottle of wine to share it with friends though. Ha ha! Happy holiday season to you all! Begbie (our cat) hauling all the ornaments off! Haha! I love the offer of being the extra .5 person, Neil! Come on over, my friend! Thanksgiving just isn’t Thanksgiving without friends and family. 🙂 So we totally went to the wine store last weekend and stocked up to get ready for the holidays. So I’ve got both white and red…what’s your choice? And I’ll make sure to have plenty of marinated feta on hand, too! Also, isn’t that upside down Christmas tree crazy!? It would solve the issue of Begbie hoarding all the ornaments though! Nope, I’ve never heard of an upside down Christmas tree. I think I’ll stick to a traditional one. This marinated feta looks amazing. There used to be a local farmer who made their own feta and sold different flavors of marinated feta at the farmers market. I never thought about making my own. Great idea and perfect for the holidays! Yeah, I’m sticking with my traditional tree, too, Kathy! I mean the upside down one does solve some problems (pets, kids, etc.) but I just like my tree to be normal. 🙂 Marinated feta is SO darned easy, and you can easily adjust the flavors to your preference. Since it uses so much olive oil, I like to keep refilling it for a bit…and then we use up the flavored olive oil when cooking. Yum! Hope you have a great Thanksgiving with your family, Kathy…thank you! Hi David! I love this! Not too long ago I made marinated feta and olives. The only problem with that is I can’t stay out of them! Appetizers are my favorite, lots of time we make a meal of them. I’m making curried chicken liver pate anda smoked salmon spread this afternoon to take to Thanksgiving with Gary’s family, He’s making a rustic Tuscan bread to go with them. Enjoy you eating and napping my friend! Marinated olives, eh? Now that’s a genius idea, Dorothy! I’ve never thought about marinating my own olives. Did you just use plain green olives and then add seasonings and olive oil? I have a hard time staying out of the feta, so I know the olives would be super tempting, too! And I totally forgot that Gary is a bread baker! 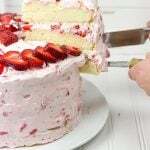 (You probably remember that break baking is my all-time favorite thing to do in the kitchen!) I need to get a good loaf of homemade bread going here for Thanksgiving. Yum! I hope you had safe travels, and enjoy the holiday with Gary’s family. Thanks, Dorothy!! I’m going to stick with my regular right-side-up tree. Like you, I’m pretty traditional! And like you, I like to talk about food–so let’s talk about feta. It’s my FAVORITE cheese. Favorite. I’m going to brave the crowds at the grocery store tomorrow so I can pick up some feta and get marinating. This sounds way too good! Yeah, there are just some Christmas traditions that you don’t mess with…and a right-side-up tree is one of them! So feta. 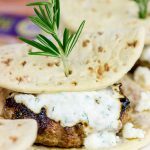 How good is feta!? I mean you start with something amazing and then make it even more amazing with olive oil and herbs. Grab (or better yet, bake!) a loaf of crusty Italian bread to go along with this marinated feta, and I’m in heaven. That’s dinner right there…along with a glass of wine, of course! 🙂 Happy Thanksgiving, Kelsie!! Perhaps, the best part of any festive meals, is the leftovers. It’s really great to have them for at least a couple of days which means more time for fun and naps:) Love your tradition so – fingers crossed – hopefully you’ll pick an impeccable tree this year. And that upside-down tree tradition? Agreed – sounds cool but for someone’s else house. I’m too old and too old-fashioned for this. However, I’m not old for some amazing cheese appetizers, so I fully approve this marinated feta, David. Oh, I totally agree about the leftovers! In fact, the best part of Thanksgiving is being able to chill out for the rest of the weekend and snack on delicious leftovers…with little to no work in the kitchen at all! Haha! I like that you said you’re too old for the upside-down tree. I totally fee that way, too! We’ll leave that one for the young ‘uns! 🙂 Hope your week is going well so far, Ben! Too cute that you count Robbie at half 🙂 You put your tree up the day after Thanksgiving? I won’t be much long after that, probably first week to 10 days into December. Some neighbours already have theirs up. Too early for me yet. I LOVE the smell of a real tree, grew up with it. Hubby grew up with an artificial tree and he won out when we got married so now I have to settle for pine scented candles, lol. I’ve never heard of an upside down tree…I’m too traditional too. I don’t think I would go for that!! Absolutely love this marinated feta, David! So perfect for bits and bites on the weekend or an app before dinner (or to gift during Christmas). I would be super happy to get a jar of this….so feel free to send me some 😉 Happy Thanksgiving to you and your family!! Haha! Well I do refer to Robbie as my little half-pint (or mini-me), so it makes since that I could him as a half when it comes to meal planning! (Of course, he wouldn’t touch the turkey this year…maybe next year. He’s so picky!) We’ve always had a tradition of decorating for Christmas (well, starting the decorating) the day after Thanksgiving, so I love that Thanksgiving was early this year. There’s something so fun about the lights of the tree! Also, I’ll save you some of this marinated feta next time I make a batch! (The current batch got wiped out over this past weekend…haha!) Thanks, Dawn! Totally did a double take as I just made a batch of marinated feta. I agree stuff is excellent, perfect for little snack! Hey Matt! I hope life is sorta calming down for you guys over there. What did we do with all of our free time before the kids came along?? 🙂 Also, marinated feta is indeed amazing! Great minds think alike, huh? Thanks so much, my friend, and happy holidays! Real Christmas trees are amazing, I just love the smell. We had an artificial tree for some time but I missed having a real one, it is definitely worth the extra effort! I don’t think I will hang it upside-down this year but maybe suggest it to hubby just to see how he reacts to my request 😉 Love the idea to have marinated feta in my fridge as a ready to go appetizer or just as a light snack. 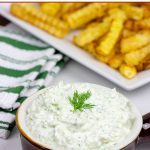 It is also a great way to use leftover feta, I often have some left and this is what I am going to do with it in the future – thank you so much for the recipe. Have a wonderful Thanksgiving, my friend! Oh, I wish I could’ve seen the look on your husband’s face when you suggested getting an upside-down Christmas tree! 🙂 I agree…I’m just too traditional for that. You’re totally right about feta, too, Miriam. We often have a little bit left over from various recipes…and just tossing it into the oil to marinate is a great way to use it up. We polished off our entire batch this past holiday weekend, so I think I need to get another one started now! The tradition of getting a tree right after Thanksgiving is awesome! I can’t wait to get mine the weekend after I get home from vacation. I have so much fun decorating my tree & house for Christmas! Oh, European cheese and bread! I think I just drooled a little bit at the thought, Nicole. 🙂 They really do know their cheese and breads over there…and I hope you guys are eating enough for me, too! Enjoy the rest of vacation, and have fun decorating that tree! Also, I highly recommend keeping a batch of this marinated feta in the fridge throughout the holidays. So good!! 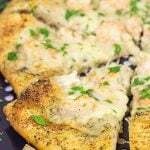 I love this simple recipe David!! 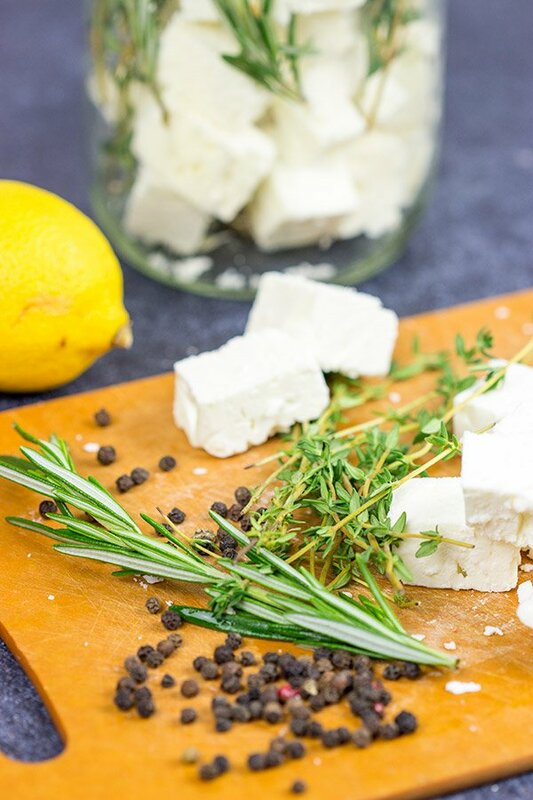 The feta soaked up with all that flavor from the seasonings is gonna make any dish perfect! 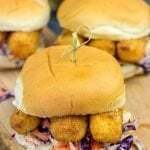 I am going to make this right away and store it for those wine nights with my girlies! Thanks for the recipe :). Yes! This marinated feta really is super simple. And it just replenishes itself. 🙂 This would be excellent for wine nights. In fact, we did that over the holiday weekend here, but we wiped out the rest of our feta. Guess it’s time to make a new batch! Thanks so much for the comment, my friend! My mouth is literally watering this looks so good! The feta would be absolutely delicious and then I’m dreaming of the pasta I could make with that infused oil! Oh my gosh, this marinated feta is SO good, Marissa! And that’s only half of it. The herb-infused olive oil is tasty for all sorts of recipes. It’s a win-win! 🙂 Thanks so much, my friend! Marinated feta sounds really yummy. 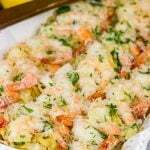 A good bottle of wine and an appetizer like this sounds perfect for entertaining. This marinated feta really is delicious, Dawn! We just served it up with chewy Italian bread and a bottle of wine. That’s my kind of meal during the busy holiday season! 🙂 Thanks so much, my friend! Lil Shashi just showed me that upside down Christmas tree – at first I was like WTH??? But – you make a great point – with two large dogs who think it’s there job to cool the condo down with their wagging tails and knock down a whole bunch of ornaments – this tree would be a win win! Hope you guys had a wonderful Thanksgiving – we were 4 here and seeing I made all that food before Thanksgiving – we headed to the gym on Turkey day – if only we had some of this feta to chomp on when we got back! BTW – Marinated feta is such a fantastic idea! Thanks for sharing! Haha! I have a mental image of your two pups cooling off the condo with their tails. Hey, the bonus there is that it saves on the summer cooling bill, right? 🙂 I’m not so sure about that upside down tree, but I’ll just have to wait to see a photo of yours…haha! This marinated feta is an excellent appetizer (or dinner!) to keep on hand during the holiday season. Thanks, Shashi! Tell Lil Shashi I said hello, too!